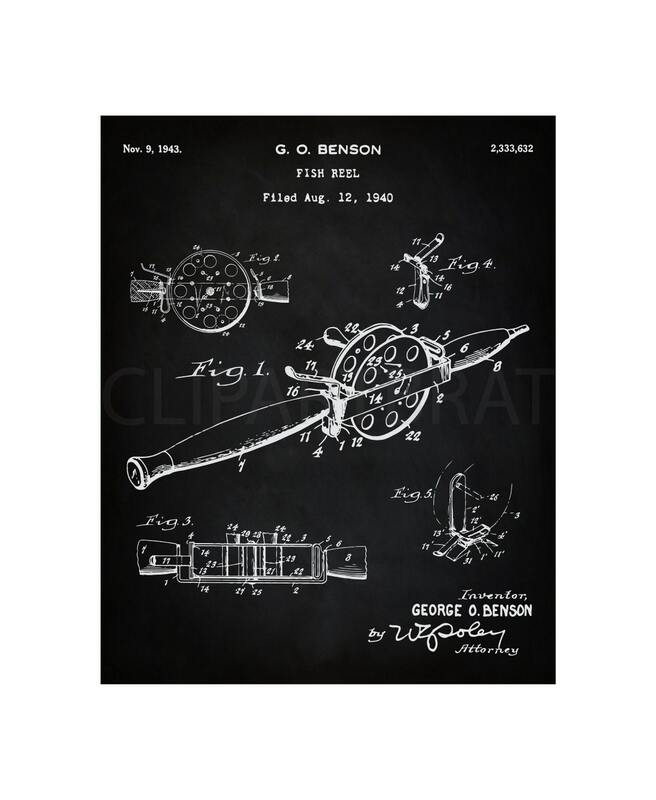 VINTAGE 1940 FLY FISHING Reel Patent Print Instant Download ~ This is a Beautiful 1940 FLY FISHING Reel Patent Diagram by Inventor G. O. Benson. 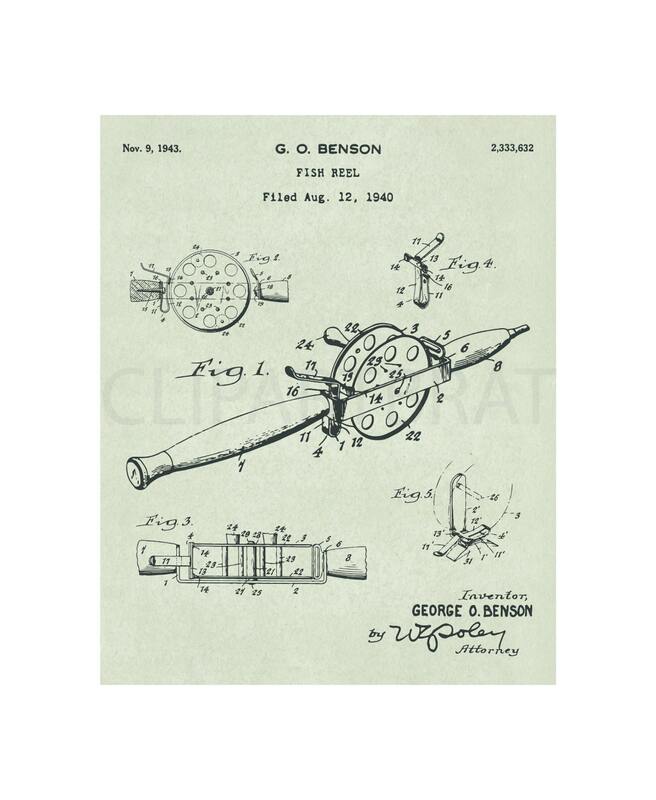 The United States Patent Office issued the patent on November 9, 1943. Patent prints are a great way to collect a piece of our history as well as show off your favorite items and artwork in your home or anywhere. PURCHASE IS FOR ALL 3 COLORS SHOWN ~ Minty Aged Green, Sepia Tone, and Chalkboard!! Check all photos in listing to see color variations! !